Whether you're a motorcycle dealer, training school, garage, website or motorcycling organisation, if you cross paths with motorcyclists young and old, you can join the Bikesure referral programme. We have bespoke policies to cater for all motorcycles, scooters, quads, trikes and buggies at competitive prices. We're not a company that likes to complicate matters so put simply, if you recommend our services, we'll pay you £50 for any *policies sold as a result. There's no cost to you as we supply bespoke point of sale as well as traceable online links and banners ensuring all enquiries are attributed to you. We also have representation on the road, so we'd be more than happy to pay your business a personal visit should you need any assistance. We'll even give you a mini page on our website so customers of ours can see what services are available in their local area. 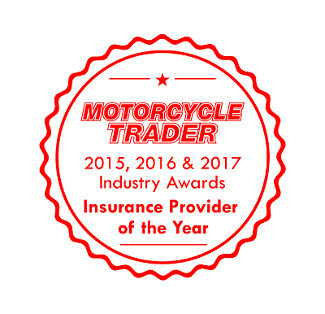 Our referral team has also been named Motorcycle Trader Insurance Provider of the year for both 2015, 2016 and 2017 based on customer service satisfaction. We paid out over £130,000 in referral payments in 2017 to businesses like yours and you can get in on the action just by clicking Sign Up for Free. Marsh MX have been dealing with Bikesure for 7 years now and have always performed to a very high standard. We pass our marketed business cards out to every customer which is a great service to offer them, we would definitely recommend Bikesure. Good company to deal with. Had the facility for some years and very pleased with cheques received. Customers give positive feedback. * The payment of £50 only applies to full 12 month policies and excludes 12 month policies cancelled within 14 days of inception, short period policies, temporary additional policies and stand-alone policies i.e. breakdown, personal accident etc.